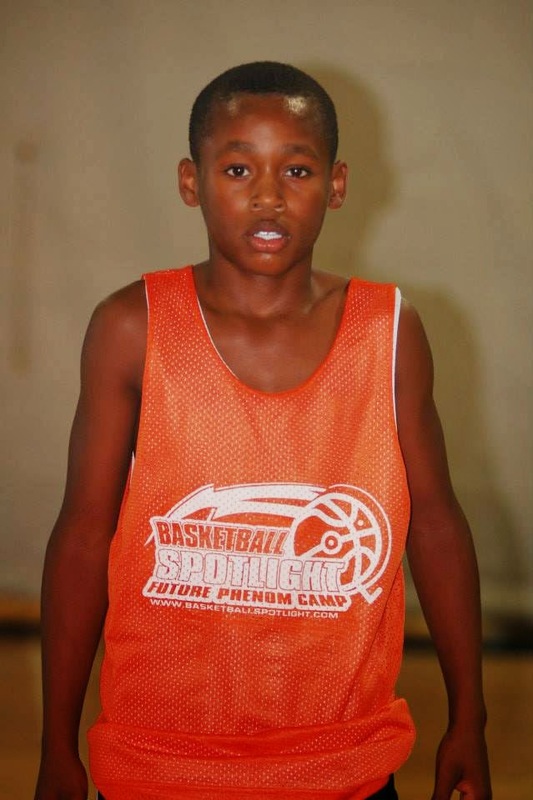 The Basketball Spotlight Future Phenom Camp had some talented players in the Class of 2021. There were some serious battles and new players emerging from this event. Here's a look at the rising 6th Graders with Spotlight experience that impressed us in District Heights, MD. Trey Patterson Forward (New Jersey)- Not many players reclassify and automatically shoot to the top of their new class but Patterson may be an exception. 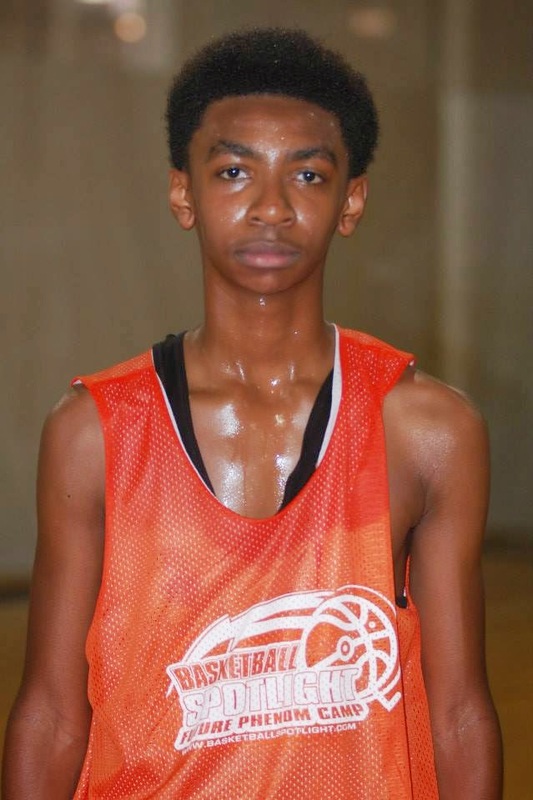 He made his 2021 debut at the Future Phenom Camp and was a dominating force. The wiry forward stands close to 6'4 and sports a size 15 shoe. During this event he was virtually unstoppable at times especially when his outside shot was falling. I also loved how he played with a high motor and was willing to rebound. This youngster’s future is definitely going to be bright and we might be looking at a national star in a few years. Donnell Harris Forward (Florida)- The Sunshine State product stormed through the camp and took home the MVP honor while leading his team to the title. On the defensive end Harris was a rebounding and shoot blocking machine. On offense he's still developing his post moves but he played with so much energy that it was hard to slow him down. He's strong enough to finish in traffic and athletic enough to leap over opposing defenders. This kid camp to the Spotlight to make a national name and achieved his goal. Jayden Pierre Guard (New Jersey)- Few players focus on defense in this type of environment but Pierre took pride in locking down opponents. He slid his feet well and made ball handlers change direction frequently. He collected steals in the passing and straight stripping the rock. He wasn't shabby on offense either as he was able to penetrate the lane, score or drop dimes. This Garden State guard plays with a lot of fire. He stood toe to toe with some of the top guards in the country. 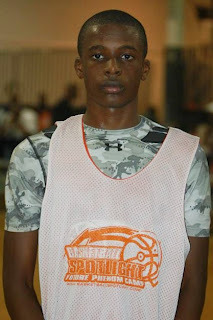 Carlos Alexander Guard (Maryland)- Alexander has an old soul and play the game this way. He consistently beat defenders with crisp and explosive moves. He's a pass first southpaw therefore he will catch your attention immediately. I love the fight in his game because he hungry to play against all the other guards with the big names. Once he stepped on the floor he came out swinging. Bryce McGowans Guard (South Carolina)- McGowans has a nice package in his game. First of all he has deep range and high arch on his outside shot. He's a lanky athlete which indicates a few more inches being added to this frame. He scores the ball good from the wing right now be my crystal ball sees that he might end of a point guard before it's said and done. Nice looking prospect. Ty Wilson Guard (Virginia)- When watching Wilson play it seems like he's moving in slow motion but he's still being effective. He has specialized a few hesitation dribbles and other deceptive moves that keep defenders at bay. He has a unique feel for the game for a player so young.